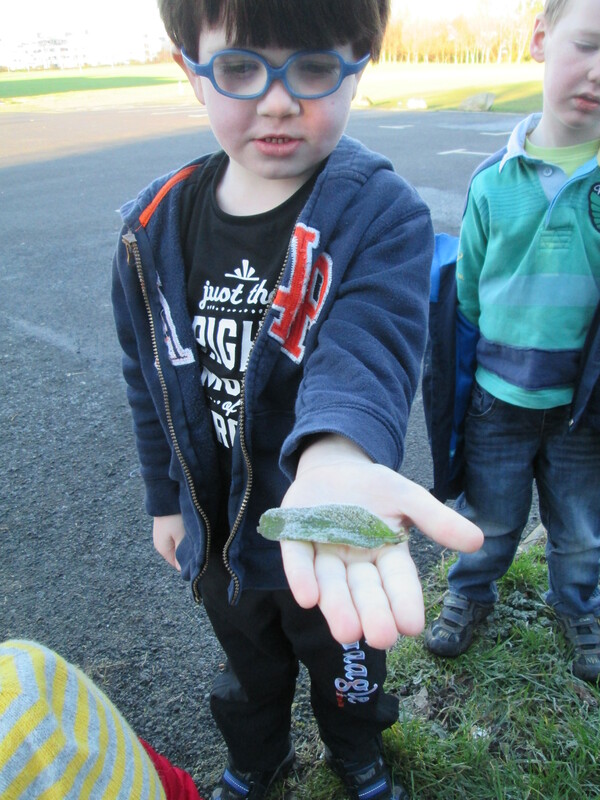 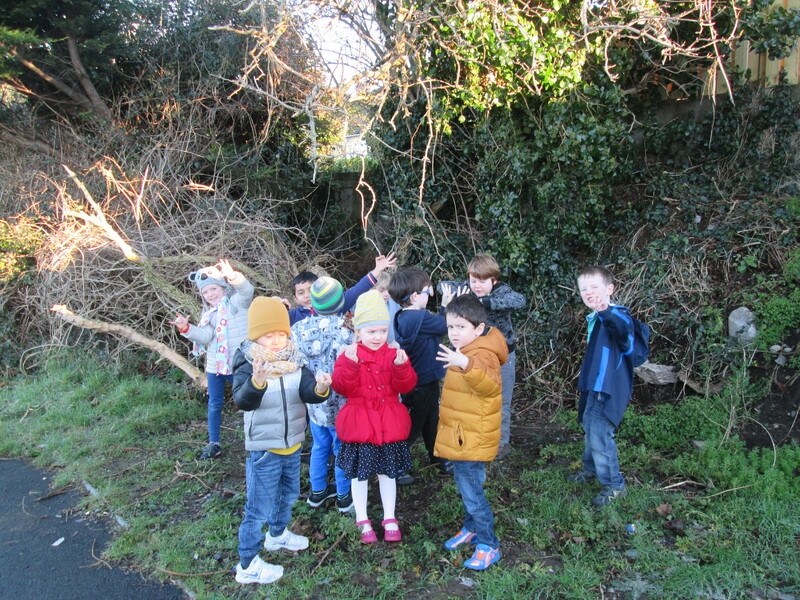 We went on a nature walk around the school. 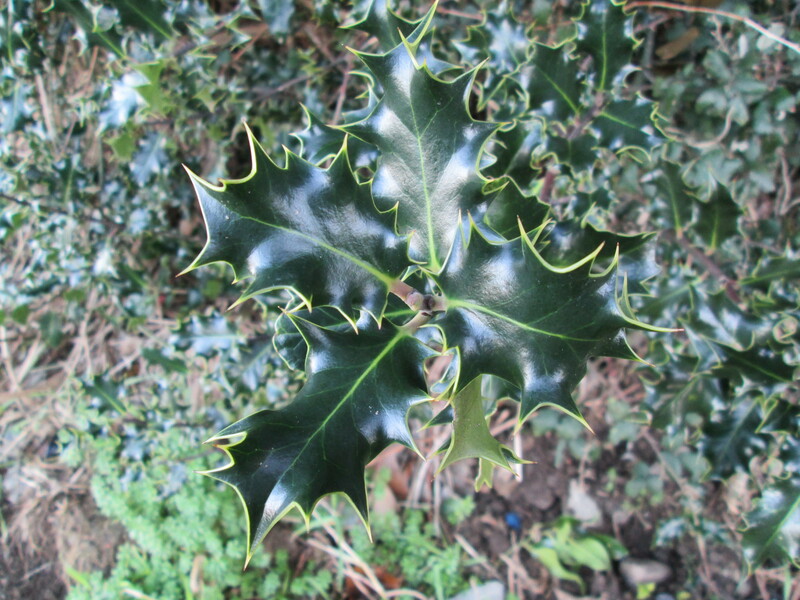 We discussed why some trees don’t have leaves during winter and some, like the holly, have leaves all year round. 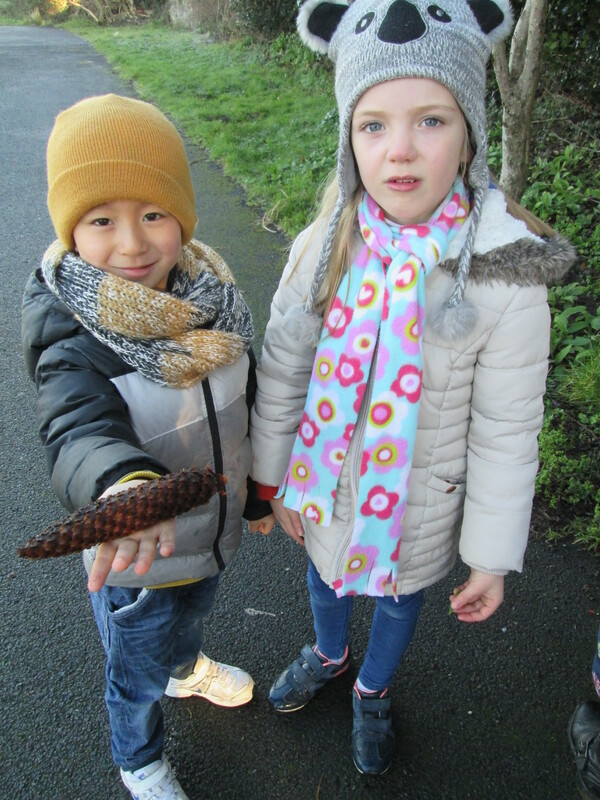 A pine cone was found so we talked about how seeds from the trees move to other places. 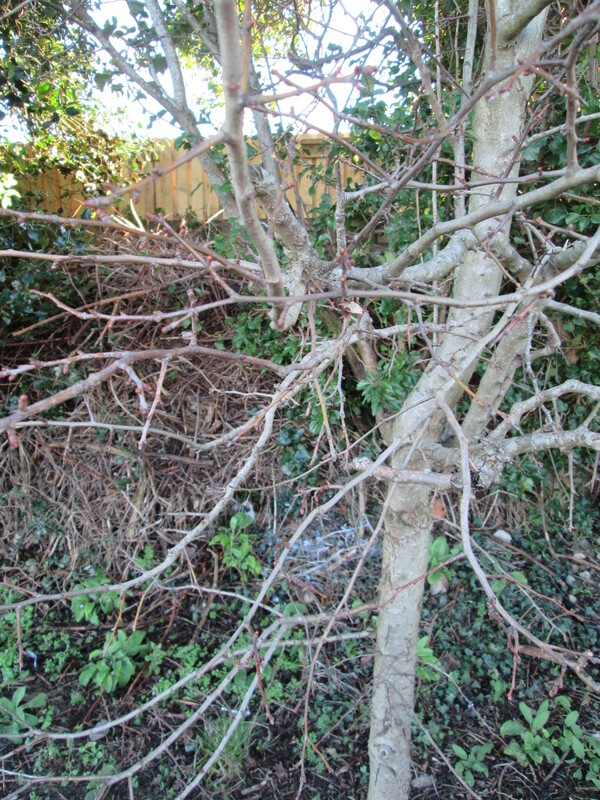 We saw the effects of winter including frost on the leaves on the ground and found some interesting shapes in the trees. 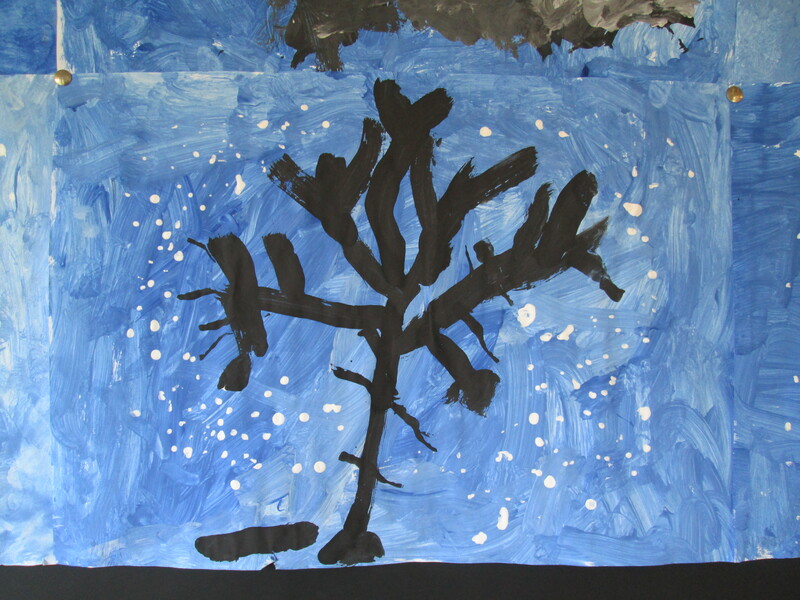 We tried to recreate some of these shapes in our winter trees art using brushes and printing with cardboard.